Mendoza is well known for its wines and especially the world famous Malbec. But did you know it is also famous for its production of olive oil from the many Olive trees in the region? 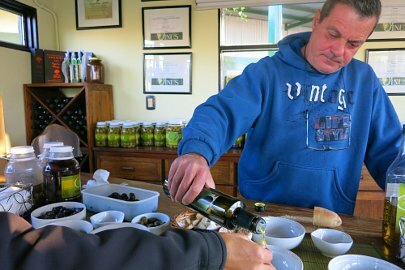 When we arrived in Mendoza and were visiting wineries, we came upon lots of information about visiting producers that offer olive oil tours. We hadn’t realized before that the region of Maipu which is about 15 km southeast of Mendoza is one of the largest olive oil producing regions of Argentina. 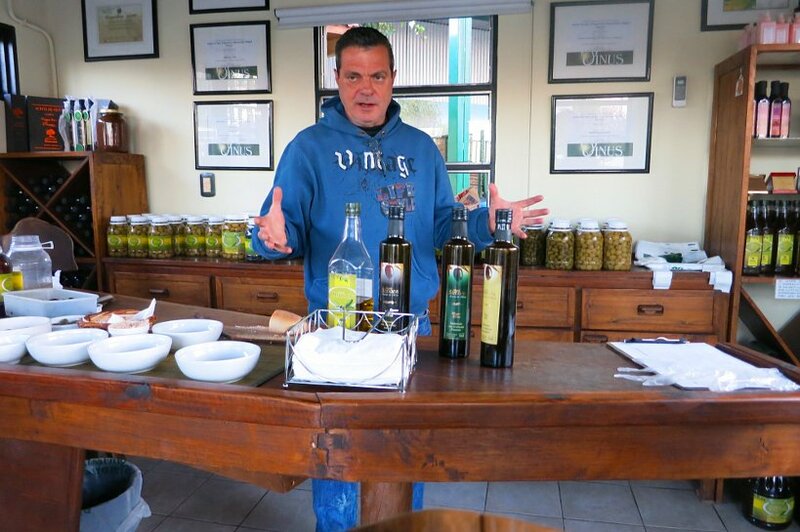 In our attempt to understand a regional specialties, we decided to visit two boutique olive oil factories in Maipu. 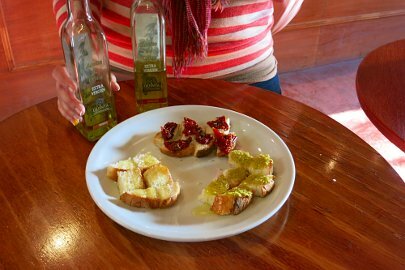 Today, you will find several tours being offered to visit olive oil factories (olivicolas) across the region. 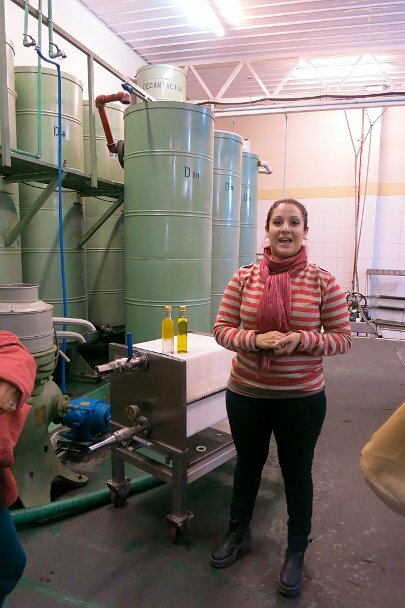 For now, we want to share with you what we learned from our visits and encourage you to check out the olive oil factories on your next trip to the region. 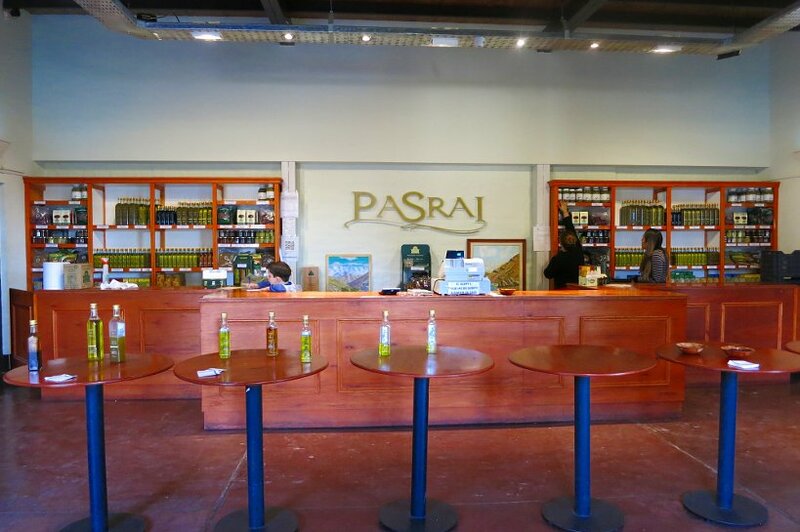 Pasrai is an olivicola (olive oil factory) that was established in 1920. It is located near the Bodega Cecchin (organic wines) in Maipu. When we got there the place was busy, bustling with tourist (foreign and local) getting a tour of the manufacturing process as well as tasting a variety of olive oils. We were fortunate enough to have a tour with just one other couple allowing us to have an intimate view of the olives and manufacturing process. One of the things that we learned that most of the olive oil producers do not own their olives trees as compared to the wine producers who have their own vineyards. They buy olives from olive farmers. The olive oil season is rather short and lasts from about 4 months from April to July. This is when the olives are harvested and shipped to the olivicola. At Pasrai, they mix three varieties of olives (arbequina,chamomile and frantoio) that are special for olive oil and not for consumption. 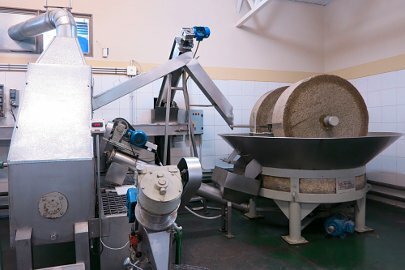 They press the olives without removing the seeds using a stone mill and millenary method. Once the olives are crushed, they mix them to create a paste that is compressed to extract the oil from the olives. 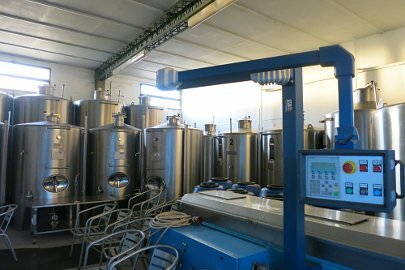 The difficulty of this process is to maintain the temperature between 15 °C and 25 °C to keep the olive oil properties intact and be able to get the extra virgin oil appellation. An olive actually contains 50% of water and only 15% of oil, the rest is flesh and skin. When the liquid is extracted from the olive paste, the water needs to be separated from the oil by releasing the water from the tank as the water gets out first due to its higher density. It takes 7 kg to 9 kg of olives to get 1 liter of olive oil. The total production at Pasrai is about 100,000 liters per year. Knowing that an old tree (90-100 years old) can carry 40/50kg olives depending of the season, it gives you an idea of how many trees are needed to provide the full production of olive oil. The leftover dried paste is sold to other producers of olive oil that use chemicals and heat to make additional olive oil. This olive oil is of lower quality and is not considered extra virgin as it contains a higher amount of oleic acid disqualifying it from achieving extra virgin status. The oleic acid content needs to be no more than 0.8% for the olive oil to be considered extra virgin. The first pressed olive oil obtained from this process is not filtered. It has an intense flavor but cannot be stored more than 6 to 8 months without losing its properties. For this reason, it is rarely sold for consumption. Most of the olive oil is filtered to get the final olive oil sold for consumption. They also make flavored olive oils with basil, chili peppers, garlic, oregano, and rosemary extract. Most of their olive oil is used for local Argentinian consumption and very little is exported only to Brazil. The second part of the visit consisted on tasting the different olive oils with bread and condiments depending of the type of oil. We started with the filtered and unfiltered olive oil. Then we moved to the garlic flavored, before trying the chili pepper and the herbs oils. The olive oils were surprisingly intensely flavored and the tasting was very enjoyable. Best was that it was complimentary and nicely organized. We highly recommend to stop by Pasrai to learn about the olive processing in the region and enjoy the tasting on the path of the wineries. 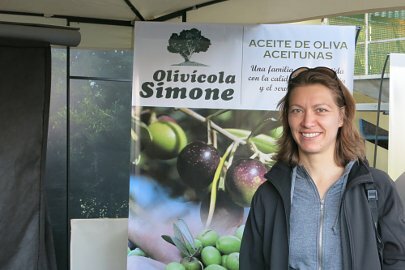 On our quest to further understand the olive oils particularities of Mendoza, we stopped to visit Olivicola Simone. It is a smaller entity, family owned and we were received by the son of the owner. We started our tour by tasting the four types of oil sold by the olivicola as well as sampling green and black olives. 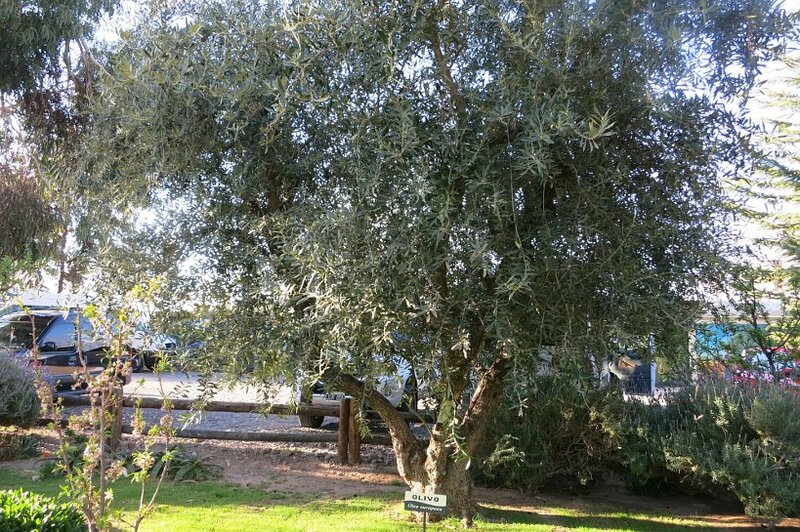 Like Pasrai, they do not grow their own olives, but they get them from long standing growers. 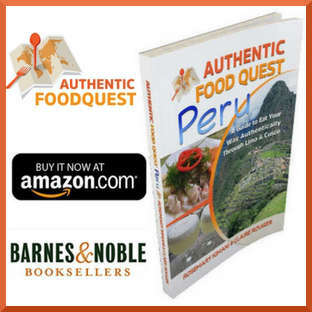 They have three different varieties of oils coming from the different types of olives, Arauco, Frantic and Manzanila, and one blend. The Arauco variety is emblematic of the Mendoza region. 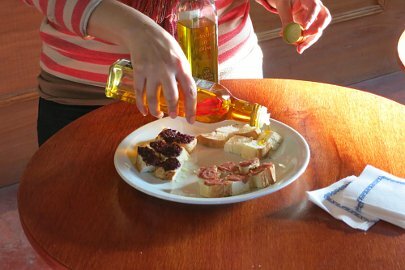 We learned that the olive oil taste has three main attributes: Picante (Spice) which indicates the level of antioxidant in the oil, Amargo (bitterness) which indicates the maturity of the olive oil, and Frutado (fruity) which is indicates the level of fruitiness of the variety. The entire process from olives to oil was was shown via a video that also showcases the different olive oil with the prizes Olivicola Simone had received for their olive oil. Although the tour fell short the olive oils were quite tasty and deserving of the impressive prizes they had received. The tasting and video tour was in Spanish and was not complimentary, though the host offered us complimentary products from his boutique at the end of the visit. To get a more comprehensive understanding of olive oil varieties and further detail, we recommend visiting as you will get personalized attention from the son of the owner. 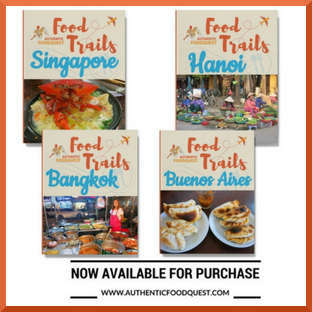 Do keep in mind that he gives his tours and tastings in Spanish, so being fluent will help. One thing that was well explained at Simone is that extra virgin olive oil has several benefits for the body. It has Omega 9 fat which gives good cholesterol to the body. It has antioxidant properties which lower our risk of certain cancer and its saturated fat prevents the memory loss due to aging. Note that extra virgin olive oil is sensitive to temperature and cannot be stored more than two years without losing it losing its properties. So use it for cooking and dressing your salad, enjoy its taste and its beneficial properties! 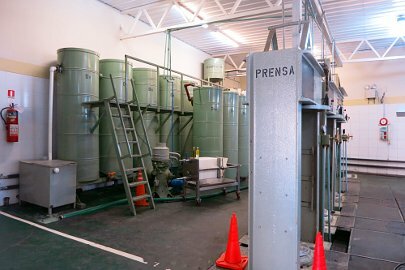 These two olive oil factories are located in Maipú on Ozami Sur street: 1957 for Pasrai and 1553 for Simone. Both places are accessible by local bus G10 #182 (AR$5.1 / about 1 hour from Mendoza city microcentro). You get to enjoy a nice and tasty break from the wine tastings. 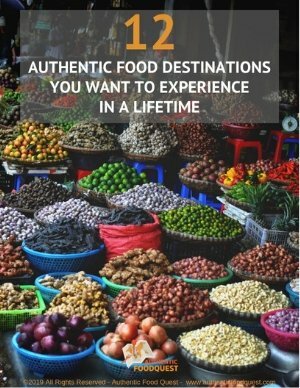 You get to enrich your palate while tasting different olive oils and savor their unique flavors. 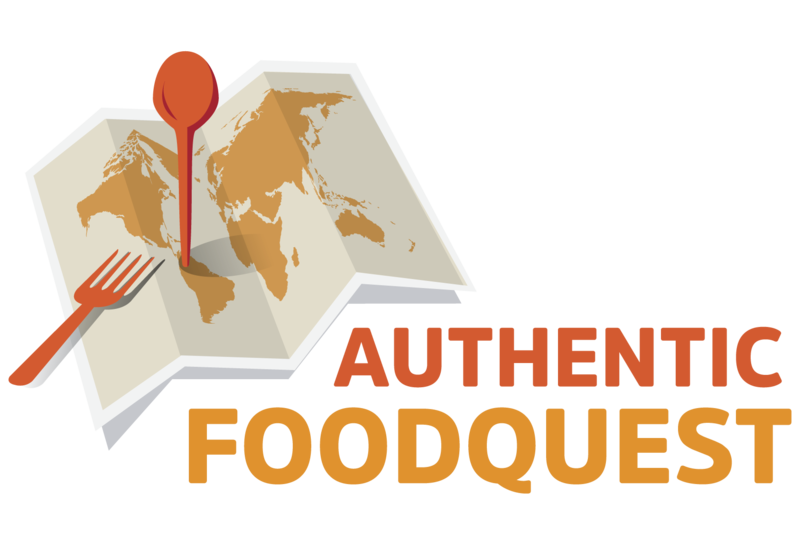 You get to understand the unique characteristics of the region and the products it has to offer. You get to learn about the unique process of making extra virgin olive oil. You get to learn about the unique health properties extra virgin olive oil provides the body. This is pretty fascinating, and definitely not as well known about the region. 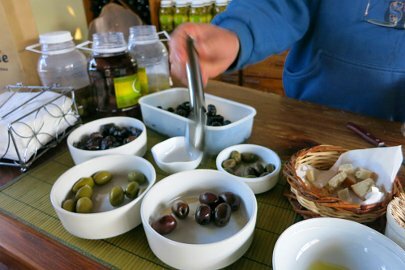 And I think people may not know in general about how they can visit their local olive oil companies, as most give tours and tastings. Glad you were able to “stumble upon it” and share the experience with the rest of us! Thanks Michelle for your comment. Mendoza and the region has so much more to offer beyond the wines. Understanding how the Olive Oil is made makes this one of the most interesting tours we have ever taken. We tasted several infused olive oils at Pasrai including, Picante! Very interesting and surprisingly delicious. I’m not actually the biggest fan of the flavor of olive oil, but I’d still be really fascinated to tour a factory and learn about all the processes involved in producing the oil! Very neat experience! How cool! I’ve been to wineries, but never somewhere you can taste olive oil. That’d be a really interesting tour. Thanks Marissa, it was quite an interesting tour and a nice change from wine tours. 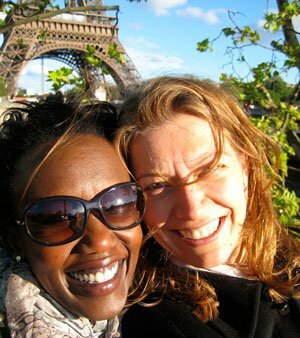 Hope you have a chance to experience an olive oil tour soon. Cheers! I love both olive oil and vinegar tastings. You have me thinking about visiting here now that I know they have olive oil and wine. Hi Tish! 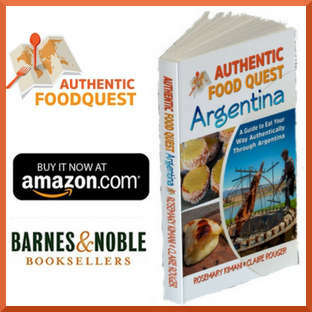 Great to hear that it gave you some idea to go visit Argentina and its olive oil producers and wineries. We have no doubt that you’re goanna love it! Oh my goodness everything looks so fun! And your pictures are great! Thanks Katie! Glad you liked reading the post and the pictures.